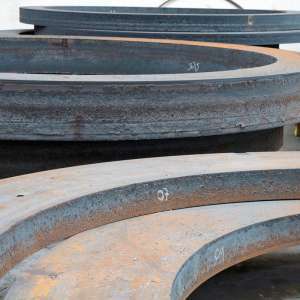 With state of the art production equipment, euskalforging manufactures the broadest range of seamless rolled rings. 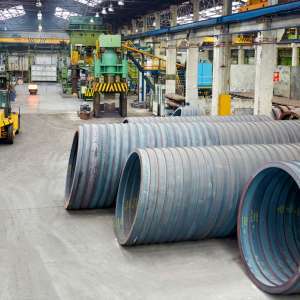 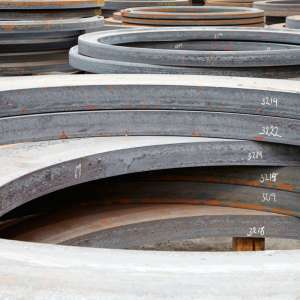 Based on the outer diameter of the rolled rings, euskalforging manufactures rolled rings from 400 mm up to 10.000 mm; based on the cutting weight of the rolled rings, euskalforging produces rings from 30 kg up to 80.000 kg. 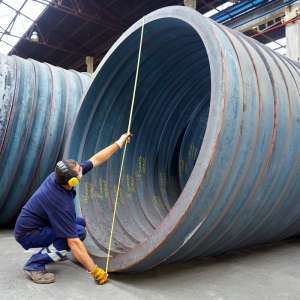 The height and the width of the rolled rings in black condition offered by euskalforging are also remarkable. 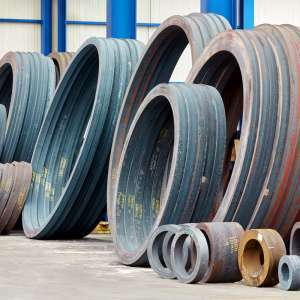 The rolled rings manufactured by euskalforging can have a height from 30 mm up to 1.700 mm, always depending on the other variables that combined allow the manufacturing of rings with the outer diameter and input weight mentioned previously. 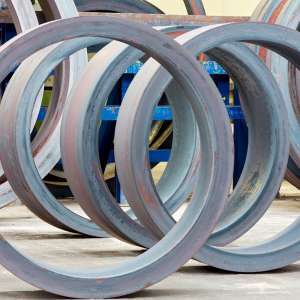 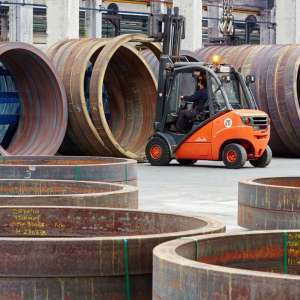 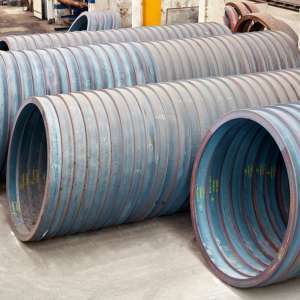 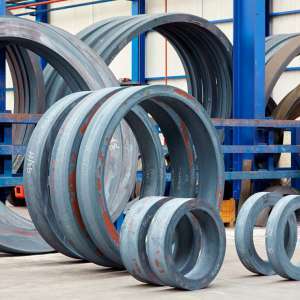 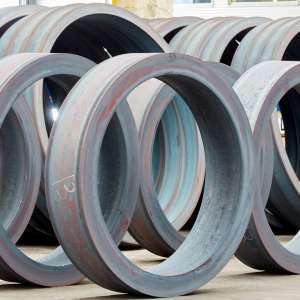 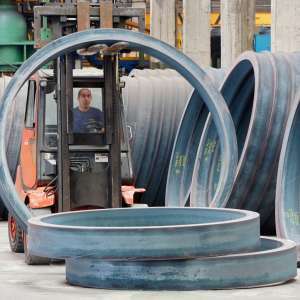 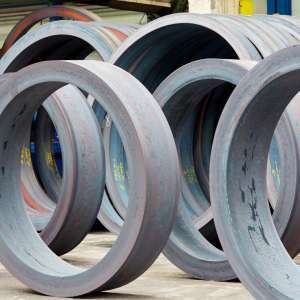 The rolled rings manufactured by euskalforging can have a width from 40 mm up to 1.500 mm, always depending on the other variables that combined allow the manufacturing of rings with the outer diameter and input weight mentioned previously.